On March 23, 2010, a campus murder case happened in Nanping City, Fujian Province. The murderer Zheng Minsheng was in despair because he couldn’t earn his living. Then he hacked 13 pupils, which resulted in 8 dead and 5 injured. Most of the casualties were children of local bigwigs. While the Guangshan Case caused no death and happened in a village primary school in one of the poorest areas in China. Comparing these two cases, in terms of death toll, Nanping Case caused more deaths than Guangshan Case; in regard to social influence, the former caused greater influence. But Nanping Case wasn’t concerned or exposed by the media, and many people didn’t know the occurrence of the case. Whereas, after Guangshan Case happened, the government not only hindered the journalists from investigating and interviewing it, but still distorted the facts, imputed the case to the Church of Almighty God, exerted great efforts to publicize and reported it in a high-profile way so that it was spread throughout Mainland China as well as many countries under the circumstances that Min Yongjun’s mother had said, “In recent two years, I have never let him out of my sight, nor have I seen him touch any religion, much less heard him mention doomsday.” The CCP took advantage of a psychotic murder case to make up lies and whip up public opinions, through which it has framed and discredited the Church of Almighty God. Its base means are really irritating and heinous. Brief introduction of the case: Wu Boxin, a professor of People’s Public Security University of China, fabricated a rumor publicly in a talk show, saying that in 2009, he participated in an investigation of a criminal murder case which resulted from reluctance to join the Church. At dusk, the corpse of a child whose parents were unwilling to enter into the Church was found in a pile of firewood, and there was an obvious lightning-like mark on the arch of his foot. The truth of the facts: This rumor was not fabricated in a skillful manner and was full of loopholes. First of all, there were various versions of the rumor. Some reports said the incident happened in 2009, while some said in 2010; some reports said the victim was a boy, while some said a girl; some reports said it was because the child’s parents were unwilling to enter the Church, but some said it was because the child’s relative had a thought of leaving the Church. Since the rumor was fabricated, then the liar couldn’t make his statement consistent inevitably. Besides, neither did Wu Boxin say the precise place where the incident happened or the situation of the party, nor could any relevant reports be found in the media. More farcically, could the murderer be so silly to leave his own name on the body of the dead? Didn’t it amount to surrendering himself to the police department? If the case turned out to be true, would the CCP government have long tried it on the court and made it public to man? It was thus evident that Wu’s words collapsed of itself, and were purely fabrications founded upon nothing and false accusations. Another report said that some people’s nose was cut off, eyes were gouged out, and limbs were amputated by the members of the Church of Almighty God because of withdrawing from it. The Chinese media have never reported any concrete cases of such incidents, nor can any other legally binding evidence be provided for textual research. Such a report is purely a sample that the CCP fabricates and is founded upon nothing. In China, there are at least four million people who have accepted Almighty God’s work of the last days, and there are also many people who left afterward. If what the CCP government says were true, then how many people would have had their noses cut off, eyes gouged out, and limbs amputated? If there were one case of that, wouldn’t the government be too impatient to wait to screen it in the news media, and have the criminal, victim as well as relevant witnesses tried publicly? Wouldn’t it be more convincing? However, as for these groundless accusations from the CCP, firstly, neither are there time, places, characters, or process of these incidents provided, nor are there news reports on them. They are totally fabrications founded upon nothing; secondly, the law requires evidence. Only with sufficient evidence can the conclusion drawn be objective, be in accordance with the law, and be convincing. But in fact, not only the above-mentioned cases, but all the ones by which the CCP has framed the Church of Almighty God have not been proved. They are purely rumors, slanders, and defamation with malice. How can such a case be spread as news? If we take it as news, then it’s just the false one. Of course, there are only lies and deceptions, but no truths in the state media of the CCP. This is a generally acknowledged fact. China has had a notorious reputation for its control and oppression of freedom of the press and religious belief in the world. United States Commission on International Religious Freedom (USCIRF) pointed out, in the report on international religious freedom released in 2016, that China has been encroaching severely on freedom of religion. The CCP government continues accusing some individuals and religious organizations of being engaged in the so-called activities of cults. Underground house churches are more likely to face such an accusation. Human Rights Watch, the international organization of human rights, pointed out, in its report on freedom of religion in China, that all activities, personnel, and financial records of religious organizations must be examined by the CCP government, and the appointment of the clergy, religious publications and the establishment of religious educational institutions are all controlled by the government. Unregistered religious groups, such as Christian house churches, are regarded illegal, and are usually searched and sealed. Besides, many believers suffer harassment and those who are in charge of churches are taken into custody and even are sentenced. The freedom of belief and speech is the most fundamental right that every citizen should enjoy, which is expressly stipulated in writing in International Bill of Human Rights and International Law. Although the CCP government has signed these two pacts, it never complies with international laws. Instead, it has been depriving of and trampling on these most fundamental rights, and legislating to crack down on and suppress religious belief on the charge of being a threat to national security and subverting the government. The platform within the CCP states clearly and definitely that the ultimate goal of the Party is to eliminate all religions thoroughly and make China a place without God, and thereafter bring the whole country under its rule. However, no power can stand in the way of God’s work. 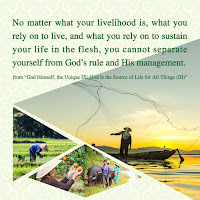 No matter how the CCP suppresses religious belief and persecutes the Church of Almighty God, yet God’s work of the last days has still spread across the whole of Mainland China, millions of people have returned to Almighty God on account of hearing God’s voice, and He has already made a group of overcomers. 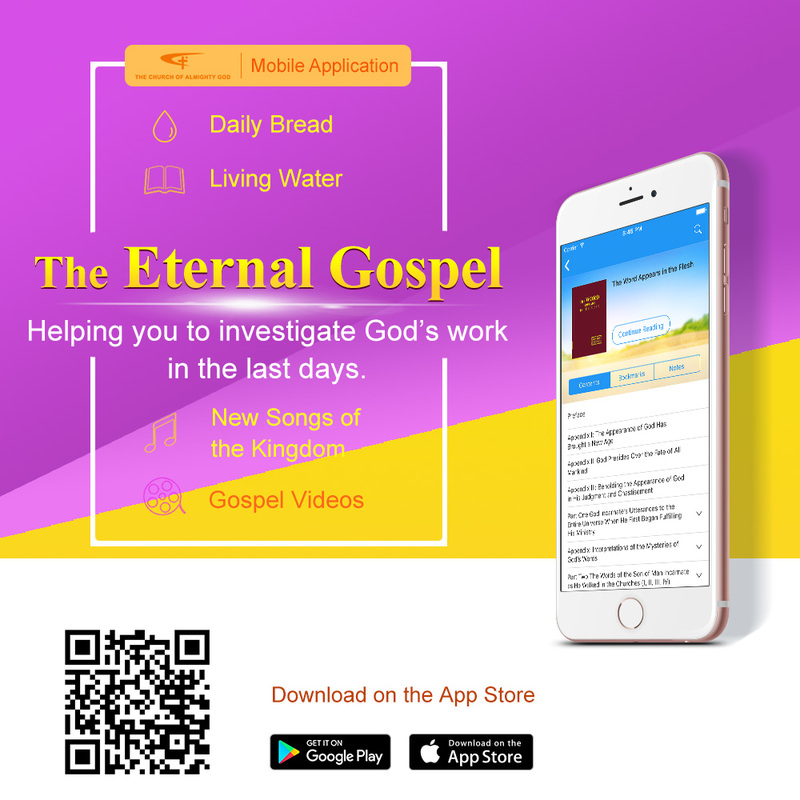 Nowadays, the words expressed by Almighty God, the gospel films and videos of the Church of Almighty God, as well as experiences and testimonies of God’s chosen people who have stood witnesses under the CCP’s persecution are publicly available online to be searched and sought by people from countries and territories around the world. For the purpose of concealing its monstrous crimes of resisting God and persecuting Christians, as well as hindering people from seeking and investigating the true way, the CCP not only cracks down on and persecutes the Church of Almighty God in China, but also stretches abroad its vicious claws: taking advantage of the media abroad to spread rumors madly; whipping up public opinions; sparing no effort to condemn and defame the Church of Almighty God; cracking down on religious groups. In February of 2016, Meng Jianzhu, Secretary of Central Politics and Law Committee of the Chinese Communist Party, pointed out clearly at a special conference when indicating suppression of religious groups outside borders, “We should push the work of deepening main diplomatic channels, focus the strategy on carrying out the action of crack-down, and narrow the religious groups’ overseas room for activities. … We must seize the moment when the western countries’ demands from our country are ascending and make the struggle of counteraction abroad more and more active. … We should insist on taking the initiative in attacking and make good use of international general regulations and state laws to attack and crack down on religious groups.” The atheistic CCP government’s animosity against God has reached the hysterical extent. It attempts to use lies to continue deceiving and cheating the people of the world, and to draw democracies over to its side to resist God and be in enmity to God. Whereas, no matter how the CCP spreads lies continually and dresses them up to be convincing, and even though it repeats lies ten thousand times, lies are lies and the truths shall never be changed because of lies. The CCP resists God and does much evil. It has been acting against Heaven and running counter to right principles from beginning to end, and has been deceiving, cheating, and afflicting people with lies all the while. Then what on earth is the substance of the CCP? Why does it hate God so much and is in enmity of God? The answers have already been disclosed in Revelation, which says, “And the great dragon was cast out, that old serpent, called the Devil, and Satan, which deceives the whole world: he was cast out into the earth, and his angels were cast out with him. … And when the dragon saw that he was cast to the earth, he persecuted the woman which brought forth the man child. … And the dragon was wroth with the woman, and went to make war with the remnant of her seed, which keep the commandments of God, and have the testimony of Jesus Christ” (Revelation 12:9, 13, 17). What is on earth the great dragon foretold in the Book of Revelation? And what has it done among mankind? The great dragon is exactly “that old serpent,” and is also Satan that used lies to entice Adam and Eve to sin and betray God in the beginning. For thousands of years, Satan has been telling lies to deceive, corrupt, and butcher mankind. It has drunk the blood of myriads of saints, and thereby becomes the great red dragon in the last days which is the embodiment of Satan and evil spirits that resist God and devour the soul of man. As everyone knows, the Communist Party was founded by Marx, a believer of Satanism. Marx claimed himself to be Satan, the devil, declared that he would revenge himself on God, and cursed all mankind to go to hell. Accordingly, any political parties that have accepted Marxism all madly oppose God, persecute and kill Christians and slaughter mankind, which is sufficient to prove communism stems from Satan and evil spirits. When communism was brought to China and accepted by some people, then the Chinese Communist Party came into existence. The head of the CCP, the king of devils, is exactly the embodiment of Satan and evil spirits, so it makes an utmost effort to carry out atheism and materialism, and other such heresies and fallacies that deny and resist God to poison, corrupt mankind and devour the soul of man. Ever since the CCP, the king of devils, came into power in Mainland China, it has tyrannized the people and deprived of their freedom of belief, only allowing them to follow and serve it and devote themselves to its illusion of communism, but not allowing them to pursue the truth and the light of human life, much less allowing them to believe in, follow, and serve God, which is a universally recognized fact. It is perceived that the atheistic CCP government is exactly “the great dragon” foretold in the Book of Revelation, “called the Devil, and Satan, which deceives the whole world.” This is the CCP’s devilish substance, and is also the source that it always tells lies, hates God and is in enmity of Him, as well as persecutes and slaughters Christians. As long as we see through its satanic and evil substance, we can penetrate Satan’s schemes naturally, so that we will not be deceived or cheated by its lies and then we can make a correct choice between the truths and the lies.